Carpets can seem to hold onto odors for dear life. Once yours has been infested with unpleasant smells, it can discourage you from using it or even using the room it is in entirely—and that is a shame. You can trust our professionals to complete any odor removals. You and your family will once again be able to enjoy having the carpet, and inviting guests over will no longer make you feel slightly guilty. Carpets and other odor-prone surfaces generally have a long lifespan, but if something infests them and causes them to smell bad, this will decrease their longevity. Take care of your rug by having issues like this dealt with quickly, and maximize the time you can use it. We are professional cleaners, and we have years of experience in odor removal. Carpet, rug, upholstery, and sofa cleaning are among our specialties, but we are able to handle a variety of surfaces. We realize that when a home is lived in and enjoyed, spills and accidents can happen which leave lasting marks on rugs and carpets. These marks can sometimes include undesirable smells. Regardless of your furniture’s make, brand, year and type, it is possible to get the odors out of it. Our process involves identifying where the odor is coming from, and treating it accordingly. We adapt our methods and approaches to suit the source of the smell. Pets are a major contributor to these issues, especially young pets, and we have years of experience dealing with pet-related cases. Another reason why you may have these problems is smoking inside the home. The smoke can linger and stick to surfaces such as carpets and rugs, and it can be challenging to remove on your own or live with. When we treat the problem at its source, we make sure to clean the culprit in order to perform a complete removal. This significantly reduces the risk of the odor coming back, and controls its presence in the carpet. Not only are bad smells unpleasant and unwanted—they can also affect the health of you and your family. The odor itself can be detrimental, but the source of it can have an even bigger impact. When an issue such as this arises, it can be a warning sign that something is not right with the carpet or rug it originates from. In most cases, you will probably know what has caused the smell—pets or smokers, for example—but in other cases, it can seem to come out of nowhere. Mold, fungi and harmful bacteria can sometimes cause the rug to start smelling bad. These infections can be serious, and should be treated as soon as possible to avoid any potential health hazards. Our experts treat the problem at the source. 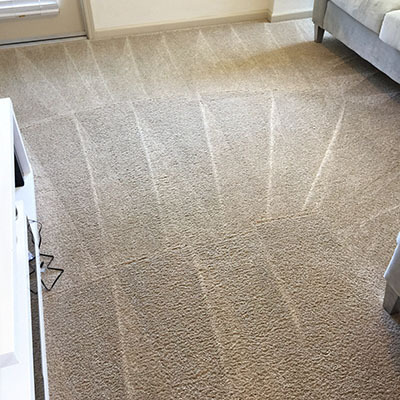 At Carpet Cleaning Marina del Rey, we have access to modern technology and machinery. We employ these tools whenever we perform a job in order to ensure a complete service. Steam and dry cleaning are among our most common methods, but we do tailor our approach to the individual task. Call us today for professional carpet cleaning services.